Why Is My 2018 Tax Refund Less Than Prior Years? 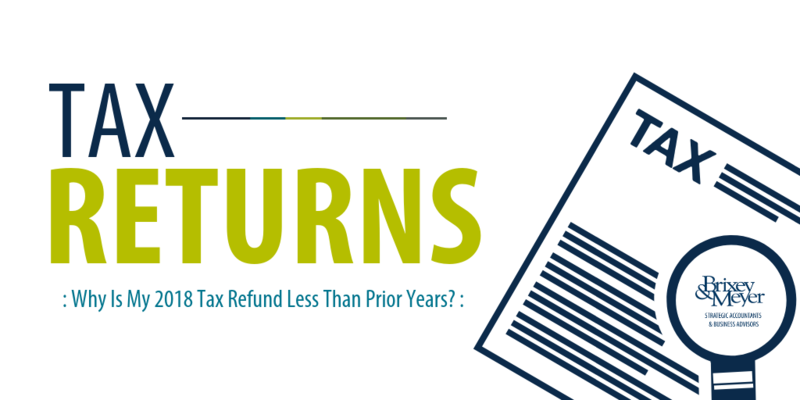 The biggest thing you hear in the news today is that individuals are getting lower refunds on their 2018 Returns compared to prior years. 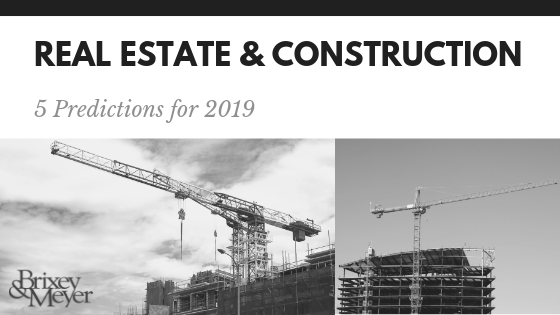 Marked by turbulent trade conditions, a shifting retail landscape, continued fallout over tax reform and the accelerated growth of coworking companies, 2018 was an eventful year for the real estate and construction industries. A variety of forces are at play in 2019. The IRS will continue to release additional guidance on provisions introduced via tax reform, the future of the U.S. trade policy is uncertain and interest rates will likely rise again.